"In recent years, and in increasingly more countries, growing multitudes have rebelled against the existing order and without a defined leadership have taken over plazas, streets, highways, towns, parliament, but, despite having mobilized hundreds of thousands of people, neither the magnitude of its size nor its combativeness have enabled these multitudes to go beyond simple popular revolts. They have brought down presidents, but they have not been capable of conquering power in order to begin a process of deep social transformation." -- Marta Harnecker. Read more by Marta Harnecker. For more discussion on revolutionary organisation, click HERE. This article seeks to reflect on the issues raised during the roundtable discussion, “State, revolution and the construction of hegemony”, that occurred at the VI International Forum on Philosophy, held between November 28 and December 2, 2011, in Maracaibo, Venezuela. Logically, here I once again repeat some ideas that I have expressed in other writings, but have ordered them differently, while further refining some of them. It was written in July 2012 and first published in English at Links International Journal of Socialist Renewal with permission. Earth Day 1970 poster. People are the enemy. The following talk was presented at the Marxism 2012 conference in Toronto in May, and at the Socialism 2012 conference in Chicago in June. A recording of the Chicago presentation can be heard online at wearemany.org. July 22, 2012 -- Climate and Capitalism, posted at Links International Journal of socialist Renewal with permission -- As you know, Simon Butler and I have written many articles and an entire book refuting the claim that the environmental crisis is caused by overpopulation and the related idea that environmentalists should make reducing birth rates and immigration a top priority. June 4, 2012 -- Monthly Review -- Let me begin by making clear that I am not a philosopher nor am I well versed in Chinese cultural history. My background is in agriculture, specifically soil fertility and health, from which I have branched out into areas of ecology and ecological approaches to agriculture and society. Earth photographed from Russia's Electro-L weather satellite, taken from 36,000 kilometres with a high-definition 121-megapixel camera, creating the sharpest image of our planet yet. May 16, 2012 -- Focus on the Global South/Climate and Capitalism -- Twenty years after the United Nations Conference on Environment and Development in Rio de Janeiro, Brazil, in 1992, the environmental crisis continues to worsen. The unsustainable development model that gained dominance in the world resulted to grave loss of biodiversity, melting of polar ice caps and mountain glaciers, alarming increase in deforestation and desertification and the looming danger of an at least 4º C increase in temperature, which will threaten life as we know it. Science is saying that we are approaching a point of no return that will change the way our planet has behaved over 650,000 years. 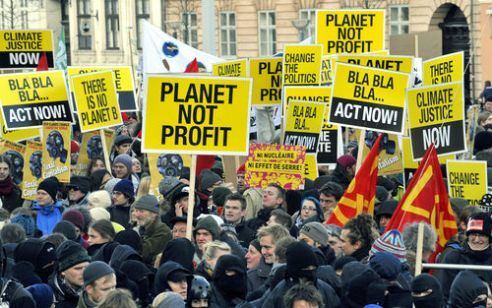 March 21, 2012 -- Climate & Capitalism, posted at Links International Journal of Socialist Renewal with permission -- The most popular techno-fix for global warming is green energy. If energy companies would only deploy wind, hydro, solar, geothermal or nuclear, then emission-intensive fossil fuels will eventually disappear. But will that actually work? “Do alternative energy sources displace fossil fuels?”, published this month in Nature Climate Change, discusses what happened when alternative energy sources were introduced in countries around the world, over the past 50 years. February 2012 -- Monthly Review -- I am a regular reader of Monthly Review. I read with interest the recent articles on ecology and Marxism (Fred Magdoff and John Bellamy Foster, “What Every Environmentalist Needs to Know About Capitalism,” MR, March 2010, and Fred Magdoff, “Ecological Civilization”, MR, January 2011). What happened to the gravediggers? December 3, 2011 – Links International Journal of Socialist Renewal -- In his survey of developments in Western Marxism from the time of the Russian Revolution, Perry Anderson sets out a number of questions for enquiry into the future of historical materialism. These questions, which range from the structure of bourgeois democracy and revolutionary strategy to the contemporary laws of motion of capitalism, are not directly taken up here. This paper focuses on how his precondition for their solution, “the rise of a mass revolutionary movement, free of organisational constraint, in the homelands of industrial capitalism”1 might be realised. December 4, 2011 -- Green Left Weekly -- Most environmentalists would agree consumerism and consumer culture put too heavy a burden on the planet. Consumer spending is central to the capitalist economy, which is why economists and governments also pay it close attention. But most mainstream economists say endless economic growth, which implies limitless consumption, is both possible and desirable. This ignores how it helps fuel our ecological problems. Today, most things sold on the market are made to be thrown out and replaced. A big part of economic activity is made up of selling products “designed for the dump”. It's not hard to see why this suits the biggest firms with the most market power. They make more money selling new products regularly than they can from products that are long-lasting, repairable and easy to upgrade. This cycle begins with the extraction of raw materials from the earth. The throwaway economy needs to turn more and more of nature into products for sale: fossil fuels, soil nutrients, fresh water, metals and timber. The cycle ends with the steady release of waste back into the ecosphere: waste gases into the sky, waste pollutants into water, and waste chemicals and toxics into the soil. Who’s causing the environmental crisis: 7 billion or the 1%? 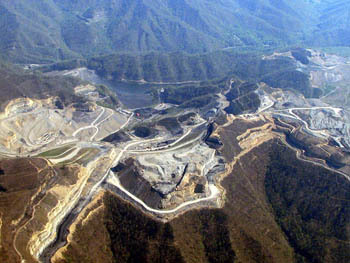 This article, published today on the environmental website Grist, has provoked a vigorous discussion there. Many of the comments defend variations of the “consumer sovereignty” argument, that corporations only destroy the environment in order to provide the products and services consumers demand. We encourage readers to join that conversation. The United Nations says that the world’s population will reach 7 billion people this month. Two radio interviews with Ian Angus: What is ecosocialism? Are there too many people? October 24, 2011 -- Is the ecosocialist revolution coming? Ian Angus is a veteran of the socialist and environmental movements in Canada. He is also the founder of climateandcapitalism.com, and co-author of the new book, Too Many People? Population, Immigration and the Environmental Crisis. He visited Adelaide, South Australia, in September, to speak at a public forum organised the Socialist Alliance, on “Political solutions to the climate crisis: What is ecosocialism?” He was in Australia to participate in the Climate Change, Social Change conference in Melbourne, September 30-October 3. Film produced by Jill Hickson and John Reynolds. October 20, 2011 -- Links International Journal of Socialist Renewal -- At the 2011 Climate Change Social Change Conference held in Melbourne, John Bellamy Foster, Marxist academic, editor and author on economics and ecology, was a featured speaker. Above is the video of his keynote speech on September 30. The conference was sponsored by the Office of Environmental Programs, Melbourne University, and organised and co-sponsored by Green Left Weekly, Resistance, Socialist Alliance and Links International Journal of Socialist Renewal. Other co-sponsors included Friends of the Earth (Melbourne), the Labor Party Pakistan and Sydney University Political Economy Society. 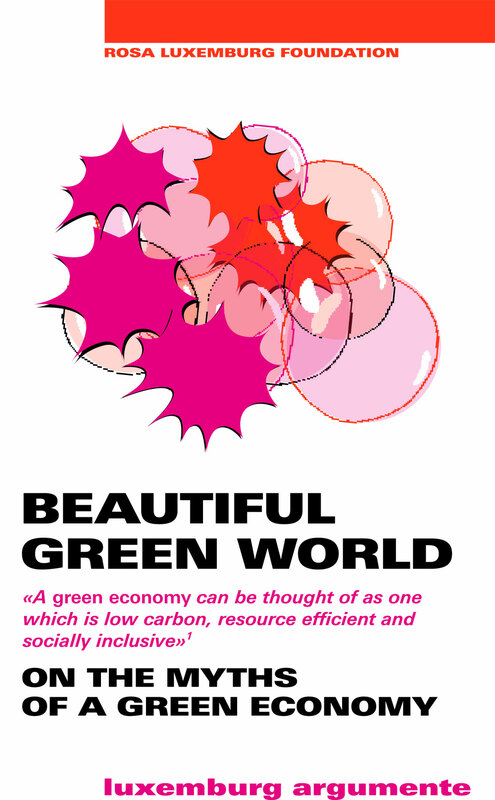 October 8, 2011 -- Green Left Weekly/Climate and Capitalism/Links International Journal of Socialist Renewal -- Ian Angus is editor of Climate and Capitalism and co-author, with Simon Butler, of the new book Too Many People? This is his keynote presentation Climate Change Social Change conference in Melbourne, on October 2, 2011. For more material from the conference, click HERE. Thanks to artist Margaret Scott for permission to use her drawings in the PowerPoint slides visible in the video.